Normally when a team is 6.5 games out of a playoff spot in July, they are looking to add pieces to make a run at the postseason in October. Life is not so simple for the Tampa Bay Rays, who are 53-47 on the season and sit behind the New York Yankees in the American League Wild Card race. Unlike the Yankees and the Boston Red Sox, both of whom Tampa Bay competes with in the AL East annually, the Rays cannot add payroll almost at will. If they played in the AL Central, the Rays would be only a half-game behind the Detroit Tigers for first place. Instead, because of simple geography, the team with baseball’s second-smallest payroll at $41 million has to constantly compete with both baseball’s highest and third-largest payroll, New York at $201 million and Boston at $161 million. Tampa Bay has to always be thinking of the future while figuring out a way to do battle the Yankees and the Red Sox in the present. Because of the team’s limited financial flexibility and the fact that they simply won’t be able to go out and spend on talent in the future like the Yankees and the Red Sox, the Rays are looking to sell, not buy, this trade deadline. Names that have frequently come up in trade rumors are center fielder B.J. Upton and starting pitcher James Shields. While trading Upton and Shields for two or three young and talented prospects apiece may lower the Rays’ chances of making the playoffs this season, when those four-to-six players mature and contribute to the big league club in the future, Tampa Bay’s postseason chances will be increased greatly. Such has become the life of the Rays under Executive Vice President of Baseball Operations Andrew Friedman and manager Joe Maddon. Upton, once rated the second-best prospect in the minors by Baseball America, hit .300/.386/.508 with 25 doubles, 24 home runs, 82 runs batted in and 22 stolen bases in his first full major league season at age 22 in 2007. In the three seasons since then, Upton batted .250/.340/.399 while averaging 36 doubles, 13 homers, 61 RBIs and 43 stolen bases per year. He has continued his decline this season, hitting .229/.310/.395 with 13 doubles, 15 home runs, 52 RBIs and 23 steals. However, even with his decline, Upton is due for a raise this offseason, as he is eligible for arbitration. 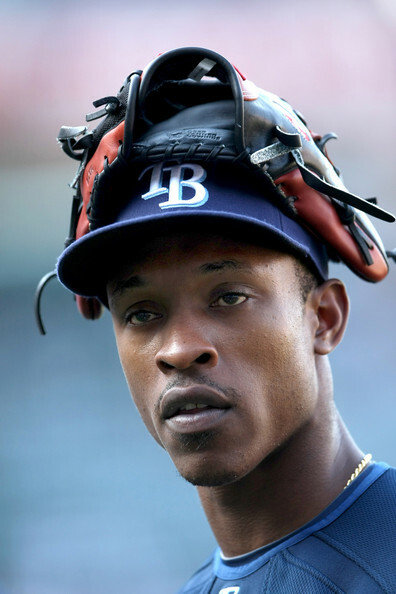 Similar to the reason why they traded Matt Garza this offseason, Tampa Bay is wary of Upton’s potential expenses and is looking to trade the athletic and slick-fielding center fielder this July, even though he cannot become a free agent until after next season. 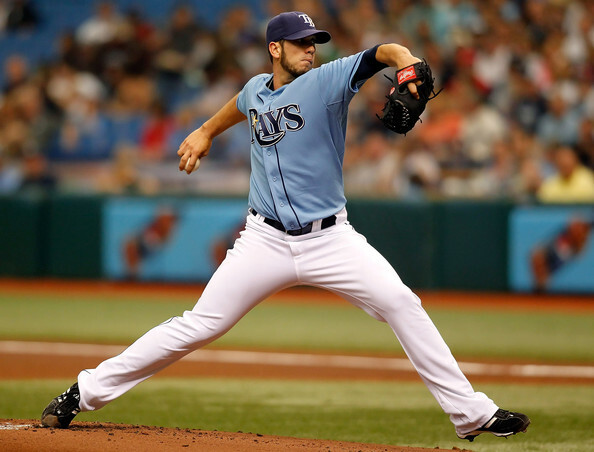 It is more puzzling why the Rays would consider dealing James Shields, who is enjoying the best season of his career. The 29-year old has made 21 starts this season with a league-leading seven complete games and three shutouts. He has a record of 9-8 with a 2.53 ERA and 1.011 WHIP in 156.1 innings pitched. He is averaging just over 7.1 innings per start while striking out 8.7 batters per nine innings, allowing only 6.8 hits in the same span. Shields is also under Tampa Bay’s control through the 2014 season with team options for the next three seasons of $7 million, $9 million and $12 million, respectively. However, Tampa Bay may be looking to sell Shields while his value is at its peak, similar to when they traded Scott Kazmir to the Angels in 2009. In Tampa Bay from 2007 through 2010, Shields averaged a record of 12-11 with a 4.17 ERA, 1.263 WHIP, 9.4 H/9, 7.4 K/9 and one complete game per season. With opponents’ batting average on balls in play at .259 this season, well below the league average of .300, it indicates that Shields has been considerably lucky. While trading Shields, a potential AL Cy Young Award candidate this year, may hurt the Rays’ postseason quest now, getting back two or three big-time prospects for him while his value is extremely high will help the team reload for the future. Most teams that are in the middle of the playoff race are looking to add pieces to their club before the trade deadline every July. However, that is not the case with the Tampa Bay Rays. The Rays know that in order to continue to stay competitive in the AL East with the Yankees and Red Sox year in and year out, they must always keep an eye out towards the future. While trading players like B.J. Upton and James Shields, among others, may hurt their postseason chances this season, the Rays know that the minor league talent and increased payroll flexibility they receive in return will only help them in the future. Life as a Ray may not be easy, but it’s what it takes to be successful.